Lian-Li has been rather busy over the past couple of months announcing and releasing new or updated computer chassis. 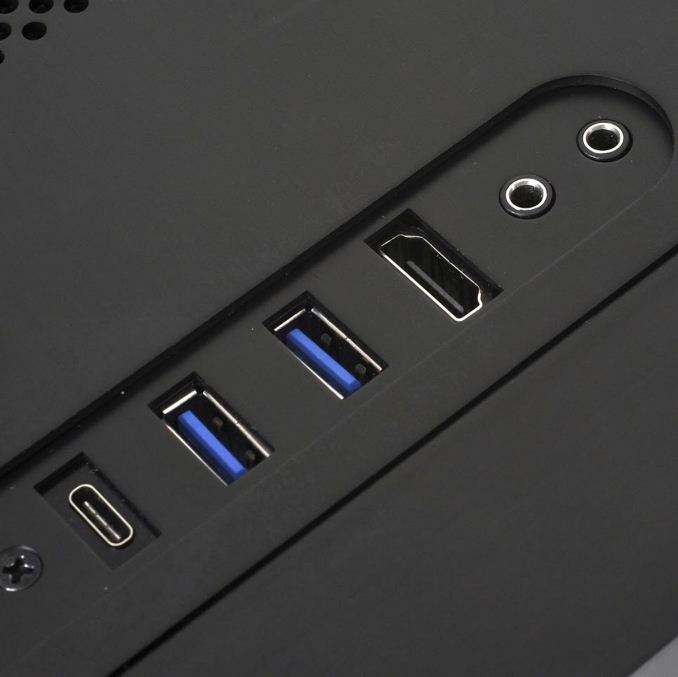 Cases like the diminutive Mini-ITX tower in the PC-Q39, the PC-T70 open air test bench, PC-01 Mid-Tower, all the way up to their Motorized Adjustable PC Desk in the DK-05, have been made public over that time. 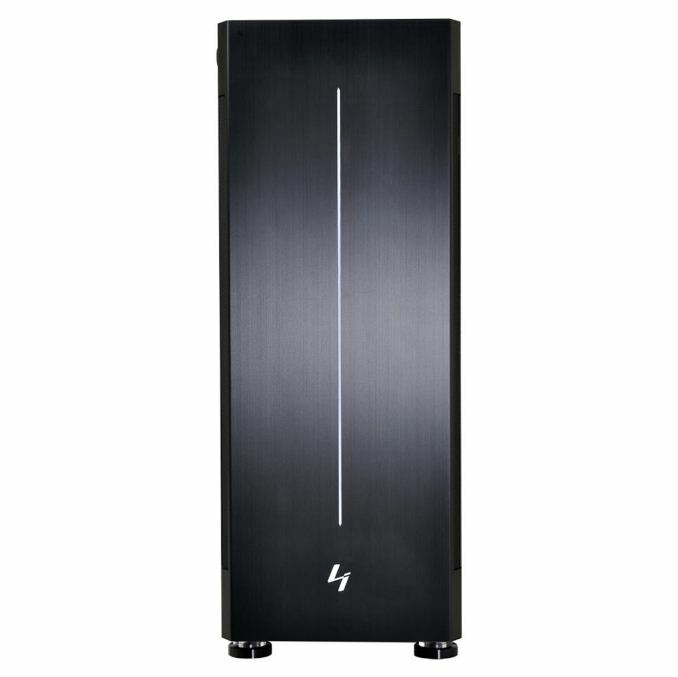 Continuing not to rest on their laurels, Lian-Li announced their latest product in the full-tower PC-V3000. 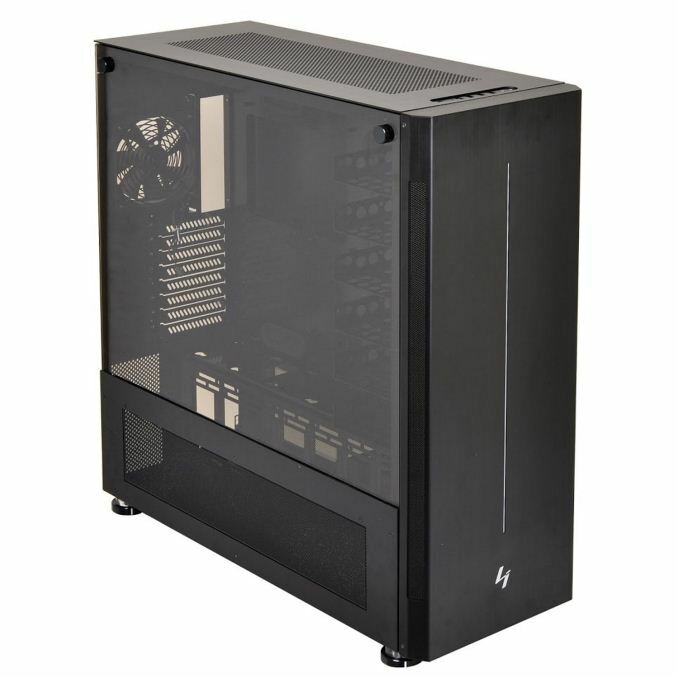 First spotted in late 2016, the PC-V3000 is a continuation of their flagship line of full-tower PC cases, with the goal of “being the ultimate Aluminum and tempered glass full-tower PC.” Internally, the case is constructed of high-quality steel that's said to improve the case's structural rigidity, durability, and acoustic performance. The external panels are made of Lian-Li's signature brushed aluminum and use their rivet locking mechanism for easy removal or installation. The angled sides of the front fascia are where air comes into the top two compartments. 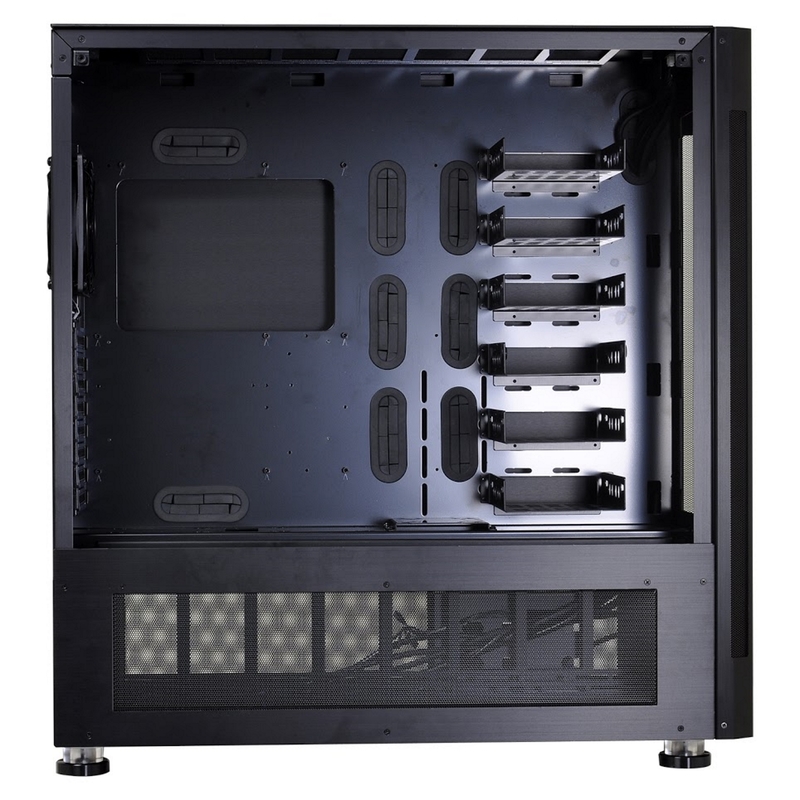 The tempered glass panel is on the left side of the case allowing owners to show off the hardware inside in the first chamber. 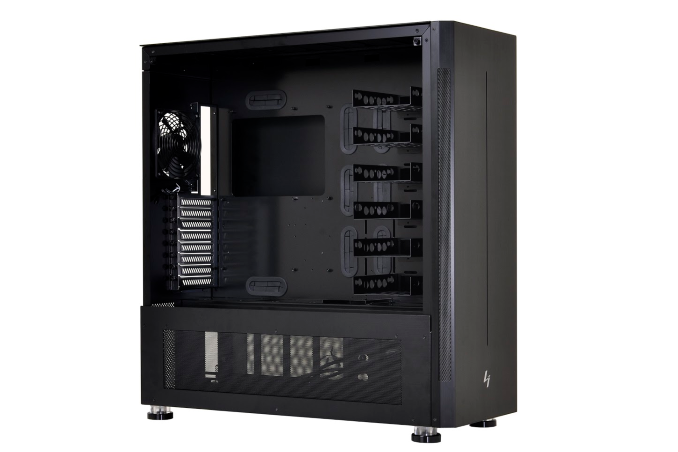 The full-tower chassis was designed for "massive liquid cooling radiators" and is Lian-Li’s first case capable of holding four radiators. 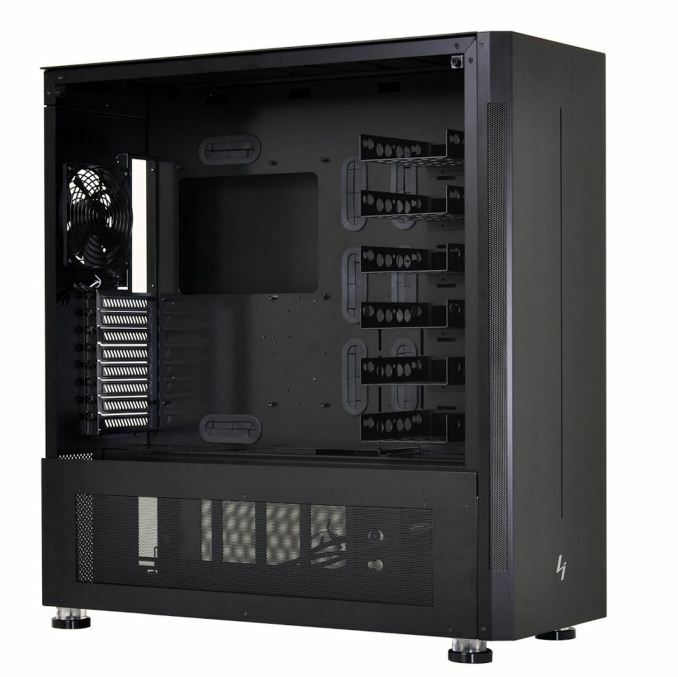 A 480mm radiator can fit at the bottom of the case, while the top is able to house up to a 420mm radiator. The front panel supports up to either a 360 or 280mm radiator, with a final 120mm radiator at the rear. There is quite a bit of cooling power available if users stuff this case full of radiators. Inside the case, all nine 3.5” drive bays are removable, with six in the main chamber, and three in the bottom chamber. Two additional 2.5” drives can be mounted on the rear of the motherboard tray, for a total of ten 2.5” (when only 2.5” are used). Those mount positions can be used for “flexible mounting” of up to four pump/reservoir mounts. Lian-Li also includes two individual supports to prevent GPU bending on long and heavy cards. 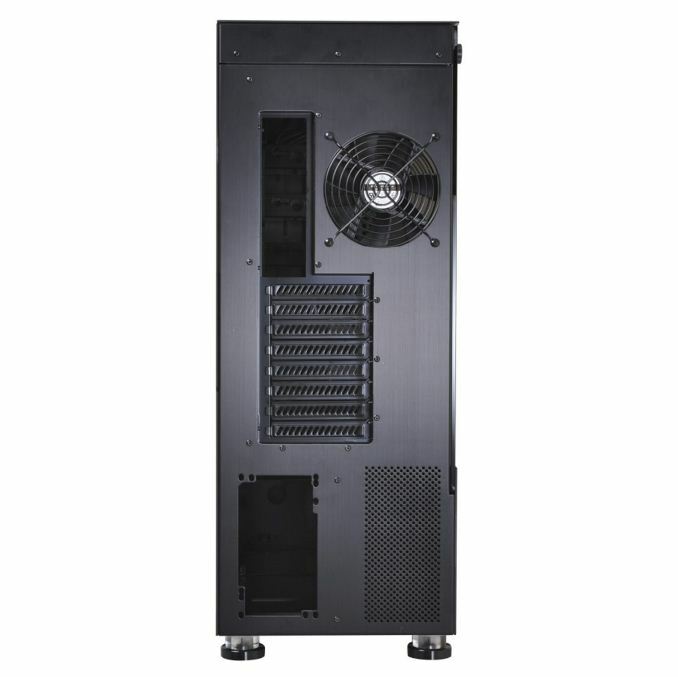 The case supports ATX PSUs up to 300mm long, GPUs up to 170mm tall and 360mm long, and CPU coolers can be up to 170mm in height as well. Pretty spacious, but always check the specifications for compatibility. The case integrates subtle RGB lighting with an included front panel LED strip running vertically in the brushed aluminum panel (the line you see above the Lian-Li symbol). There are dials to control them hidden behind the front panel. The I/O panel, located on the top, has a single USB 3.1 Type-C connector, two USB3.0 ports, and an HDMI port (good for VR systems). Additionally, there are front panel audio jacks for a microphone and headphones rounding out I/O connectivity. HDD/SSD Bays 9x 3.5" or 10x 2.5"
We can expect to see these on store shelves and websites in the US around the middle of September. The case is priced at $449.99. Other than the drive bay locations and front panel; this layout looks a lot like Case Labs SMA8 design. There is a place for full towers. I'm building a video editing system, and I need 6 10TB mechanical hard drives, 1 3.5" SSD and 3 M.2 drives, along with 2 or 3 high end graphics cards. Have you considered the idea of two systems? In high profile workflows (ie: workplace) this would be accomplished with two systems: 1) a NAS serving data to 2) a server that ingests/renders it. It's more expensive to do it in this manner, but I'd say it's the better way to go, because you abstract the usage of big data storage and data processing into two different individual systems who don't quite need the other's specs. A NAS doesn't need high thread count, but does need mass data storage. An ingest/transform server doesn't need big local storage, just as long as it can access the data it's ingesting quickly enough (such that the bottleneck is still its own processing speed and not network transfer speeds), then data being fetched from a network drive shouldn't affect it negatively at all.